The mainstream financial press and blogosfear has been full of relentless stories all week painting a picture of doom and gloom. Even the usually buoyant CNBC air heads that usually sit smack middle on the fence, today had turned bearish with expectations at mid US trading today for the days stocks rally to soon run out of steam and reverse to a down close much as the Dow did yesterday. Instead what did the stock market do? It did CRASH, but it was to the UPSIDE! For if falls of 3.5% have been reported on in the press as a CRASH with headlines of Black Monday, then an greater upwards daily move of 619 points, 3.95% should surely be reported upon as a stock market crash to the upside! The following table further illustrates the detachment from reality that takes place in the financial press and blogosfear on a DAILY basis for the fundamental reason that FEAR SELLS! Doom and Gloom SELLS! Whereas reality does NOT sell because reality tends to be laboriously boring, much as the missed by most stocks bull markets relentless climb higher for the past 6 years has been, which does not sell much mainstream press copy to the gullible masses that tend to lap up the verbal diarrhoea as being definitive. The reality is as I have consistently pointed out that since western stocks started correcting that the markets are undergoing a correction where the volatility is a function of the fact that it has been over 3 years since the last 10% correction took place which means that there exists significant weak bullish investor sentiment that needs to be unwound so that the market can lay the groundwork for the next leg higher. Meanwhile the China stocks bear market continued with the Shanghai dropping a further 1.3% despite an interest rate cut, which as my analysis of 5 weeks ago stated to expect far worse to come, so it's what the western stock markets are battling against i.e. a western bull market that's trying to keep afloat whilst a drowning China keeps tugging at its legs. So the bottom line is that there is far worse to come for China investors. In fact the china bear markets only about half done! The China SSEC close of 2927 is still some way from my probable target for a spike low of 2,500 which means to expect more bad news out of China. Is the china stock collapse a warning of what is in store for western stock markets? Could China do irreparable damage to the 6 year old stocks bull market by destroying bullish sentiment? What if anything could support the market now? Corporate profits? Does this mean the Fed will abandon raising interest rates? So is it time to sell ALL stock holdings or a buying opportunity? Ensure you are subscribed to my always free newsletter to get this in your email in box. In the meantime check out Robert Prechter's view on the Pandemonium in the Stock Market in his timely FREE Report. I look forward to your update on the stock market. Most technical signals are bearish and with the upcoming fed rate hike causing a higher dollar and currencies havoc, the end of QE which has been main engine of the stock market everywhere, problems on the oils sector, China's bubble busting, there is a lot of uncertainty. From the Ew perspective we may be in 4 with only limited upside in 5 and the a manor a b c correction. Sell signals have been triggered for many following technical analysis, stop losses have been captured. 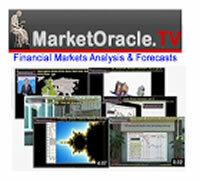 Analysts have mixed opinions about the U.S. Market and many recommend emerging market shares or European and Japanese. Only die hard goldbugs still believe in a gold. i look forward to hear your view on the global markets in your next article.